Before you can fix your car, you have to take a look “under the hood”. Before you can treat a medical condition, you have to diagnose the problem. 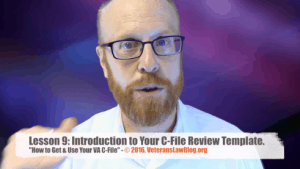 And before you can win a VA Claim or Appeal, you need to see the C-File. Let’s face it, filing a disability claim is not as easy as it should be. And it gets harder when you are denied. You are faced with these questions – and many more – about how to start the VA Disability Claims process. Do you use VA Form 526-ez, or file through the VA eBenefits website? Should you use a VSO or an accredited VA Benefits Attorney? What sort of evidence do you put in to prove your claim? What do you do when you are denied? How long will it take the VA to decide your claim? These are all legitimate questions, but they can’t be answered thoroughly until you do this ONE thing: Get a Copy of your VA CFile. To Fix your Veterans Disability Claims, You First Need to Find the Problem. When you need to make repairs to your car, you have to diagnose the problem first, right? What if your spouse is constantly on your back to fix the leaky faucet in the kitchen? You find the source of the leak first, don’t you? Same with a VA Disability Claim – you have to diagnose the problem before you can plan the solution. How, then, do you diagnose the problem? This Veterans Disability Claims Video Training Course is a Great First Step. The first step is to realize that you have MORE POWER in your VA Disability Claim than you think. 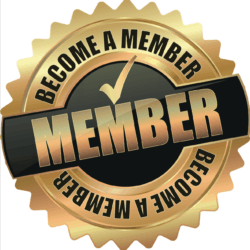 Once you accept this, the very next thing you should do is get a copy of your VA C-File. 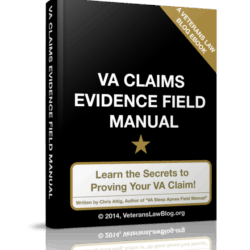 The VA CFile has everything that the VA, the docs, the BVA and the Veterans Court are using to deny your claim. For that reason, your VA C File is the most important document in your VA Claim. Get a copy of it now…you don’t want to end up like this Veteran that waited too long to get a copy of his VA CFile. When you get it- and the method I teach in this Veterans Disability Claims eBook has REAL TEETH to help you get it – you might be shocked at what you find in it. 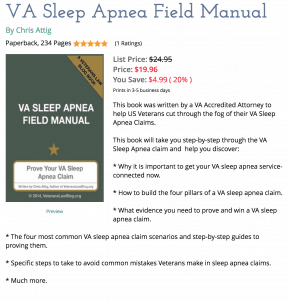 Remember, though, no Veterans Disability Claims eBook can take the place of the advice of an accredited VA attorney…while I want to teach you what I have learned, this eBook and the Veterans Law Blog are just that – education and information. Nothing can take the place of good legal advice. 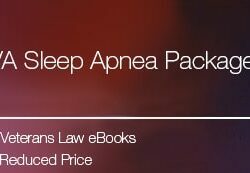 Are all your Law Books, e books? I would prefer to have them in print and not be tied to my computer. If I have no choice, I will order an e book. I am interested in the e book on how to get my C File. Right now they are all eBooks…we are trying to work deals with publishers to get print copies, and hoping to have that available soon.